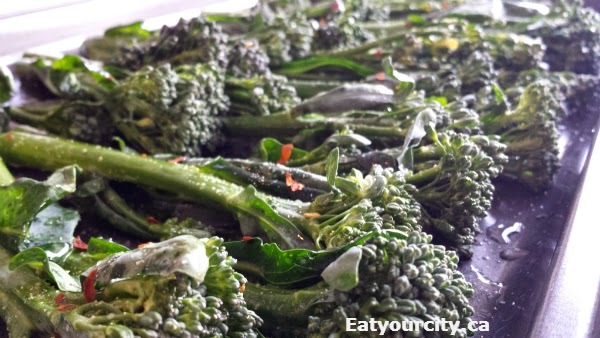 Eat Your City: Oven roasted Broccollini recipe - super easy, healthy and tasty side dish! 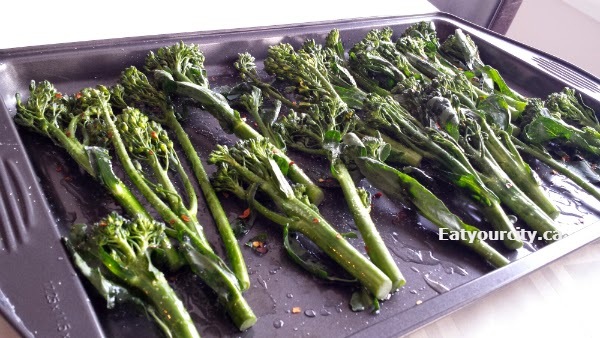 Oven roasted Broccollini recipe - super easy, healthy and tasty side dish! 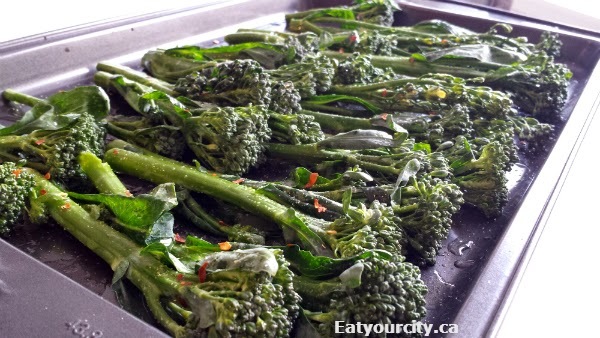 Posted by I love broccoli, so when I discovered broccollini - a thinner stemmed, sweeter, milder and elongated version of broccoli a few years ago, it was instantly added to the dinner menu whenever it was in season. Lightly steamed, blanched or my fav - oven roasted. Its so easy and nomnomnom, you'll smack yourself and ask yourself why on earthy you haven't tried this sooner... and since its mild and sweet tasting from natural sugars developing as it roasts, the kids will love it too! You can loosely space them apart or cram them together - they tend to roast fine regardless. Pop into oven for 10-15min max.. keep an eye on them as they get a tender roasted texture with crispy edges, then potato chip crispy, and then burnt if you don't keep a watchful eye on them! Serve immediately and watch them disappear like magic!